The project : The venue of the purpose-built theatre designed by Paris-based designer Jean Rabasse will open in 2016. The theatre will be 35 meters high and have a capacity of 1,400 unique seats. 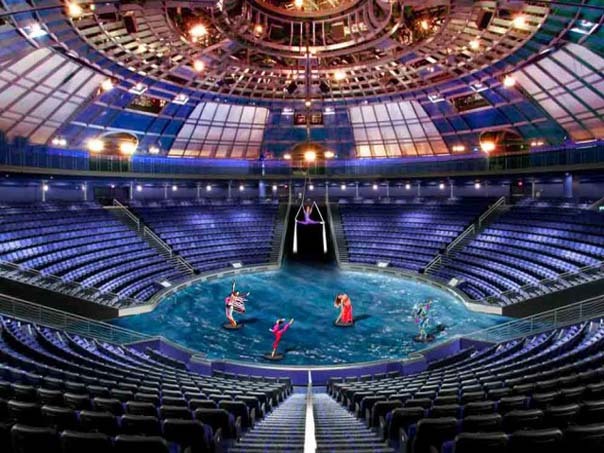 Lights, sounds and water elements will come together at the Dubai theatre to create an extravagant and spectacular show. It will be the fourth of its type in the world after Las Vegas, Macau and the future Han Show in China. It will be the first of its kind in the Middle East for FDEG. The scenic design will have a two million litre pool and hydraulic stage which comes to life during the show. There will be more than 80 performers involved in the project.